August | 2012 | hello it's ming. Being born in Sydney to Singaporean parents, I’ve truly experienced the best of both cultures. From this, I learnt that a large component of what defines ‘culture’ is ‘food’ – a beautifully simple notion that has the ability to unite and reflect the customs and traditions of a nation. So what better way to share something new and different with others than making the introduction through a mutual friend, food? The Grace Hotel, Sydney has successfully achieved this through their numerous “Flavours of….” Food festivals, all of which have proved their true embrace of multiculturalism while introducing us Sydney-siders to the ‘different’ and ‘new’. As Mama works at the Grace, I was lucky enough to attend the launch of their latest cultural affair, “Flavours of the Philippines”. Never having tried Filipino cuisine before, I admit that I was intrigued and slightly excited…ok…very excited to meet this new ‘friend’. The prospect of the buffet might have whet my appetite as well. The vibrant culmination of spices and fresh foods enveloped the guests in a warm embrace as they entered the Grace Brasserie. A certain authenticity was immediately instilled by the culinary creations of Head Chef, Colin Yee and the expert Filipino chefs flown in by The Grace especially for the event. 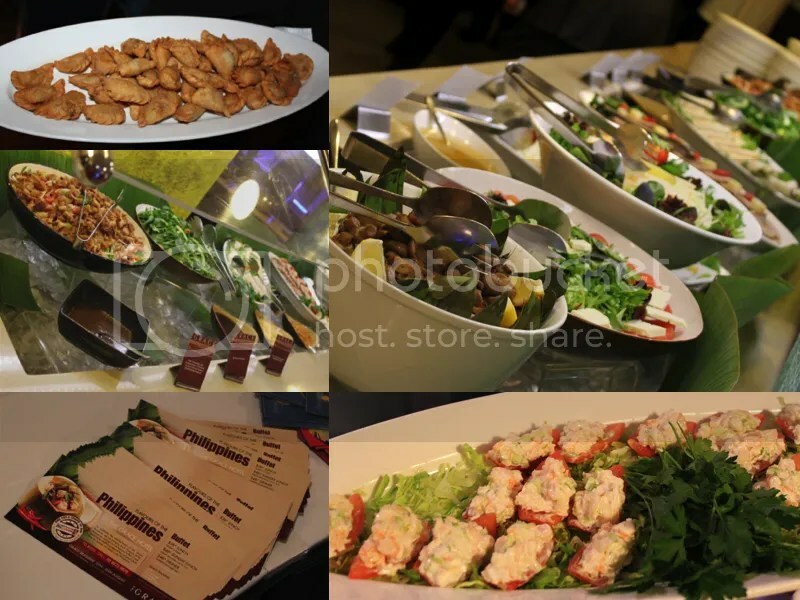 Introductions were made to the organisers of the event – Boon Yiam and Jason and a sea of fellow diners, followed by the ‘guest of honour’, the Philippines as the ice was broken by an array of appetizing salads. On first bite of the crackling pork salad, I knew that this was the start of a beautiful friendship! The kitchen certainly knew how to generate anticipation for the rest of the buffet line through the absolute freshness of the appetisers. The most interesting of these was definitely the smoked oysters with mushrooms…we all know how I feel about seafood J! Analogous to personality and friendship, the uniqueness of this dish may not be appreciated by all but it certainly agreed with my tastebuds! This entry was posted in Buffet, Filipino, Restaurant, Sydney CBD, The Grace Hotel and tagged barramundi, buffet, caramel, festival, filipino, flavours, food, grace, hotel, leche, philippines, pork, suckling, sydney on August 22, 2012 by helloitsming. Sometimes the things we dread the most end up pleasantly surprising us. An impulsive booking for lunch at Boathouse on Blackwattle Bay spurred by serious fish pie cravings turned out to be the perfect way to celebrate the official end of my first semester at university – a big challenge. This had been marked by the arduous release of results throughout the week, which definitely turned out better than my stressed out and paranoid self had expected. Ahhh…the joys of surprises…plus food! Boathouse is sneakily located at the back of Glebe; tucked away but overlooking a beautiful view of the Anzac Bridge. The family and I had Mother Nature on our side, providing one of Sydney’s characteristic sunny winter’s days when we made our little dining journey. I admit that whenever Mama and I see oysters on the menu we cannot help but sneak in an order! We left our selection of four to the restaurant, known for their oyster expertise! I’m sure that I was just excited by the elaborate names of the oysters, as I was by tasting them – Clair de Lune, Wonboyn Rock, Label Rouge, Coffin Bay Pacific. 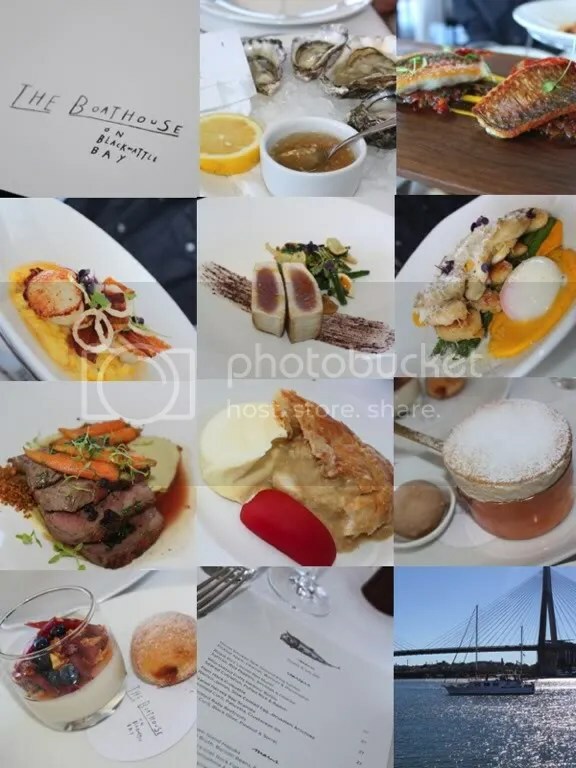 This entry was posted in Glebe, Modern Australian, Oysters, Pie, Restaurant, Seafood, Souffle, Uncategorized and tagged anzac bridge, blackwattle bay, boathouse, glebe, lunch, oysters, seafood, snapper pie, souffle on August 4, 2012 by helloitsming.